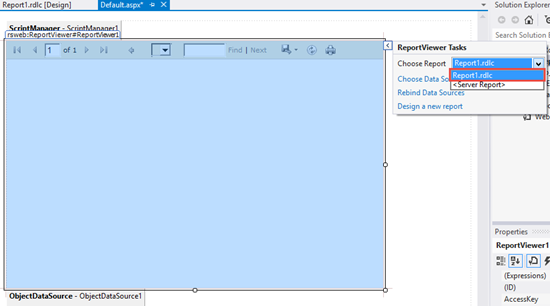 In this Article, We will learn How to create RDLC Report in ASP.Net using Visual Studio Report Designer. For Demonstration, I have created a Database(named as Sample) and created a table tbl_Employee in it. Table Design for creating tbl_Employee. Add some Data in tbl_Employee. I have attached the script of Database along with the Source Code for Download. 1. 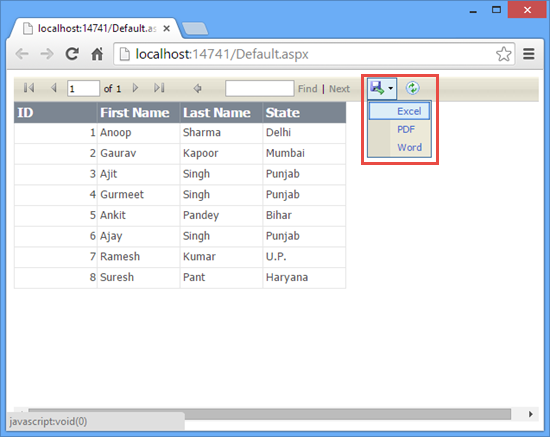 Create an Empty ASP.NET Website and Add a Web Form(Default.aspx) in it. 2. 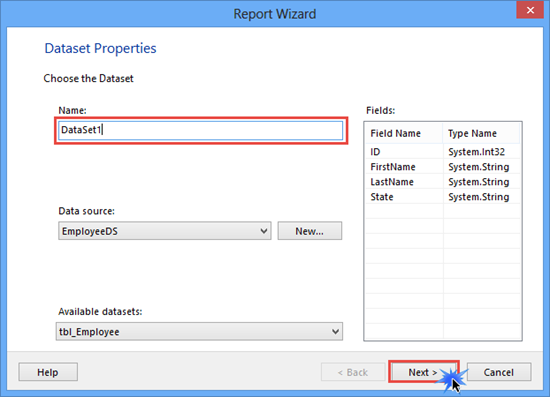 Drop ScriptManager and ReportViewer controls from Toolbox on Default.aspx Web form. 3. 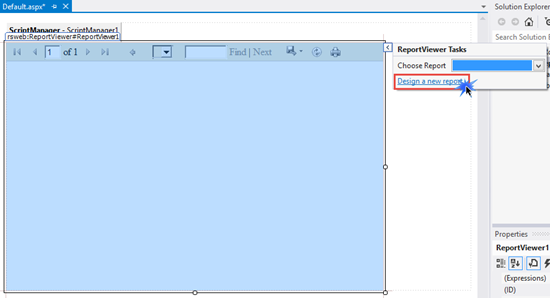 Click on ReportViewer Tasks and then Click on Design a new report. 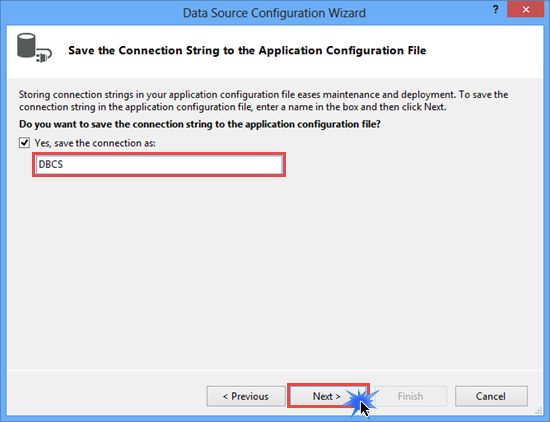 After that you will see Data Source Configuration Wizard. 4. Click on New Connection. 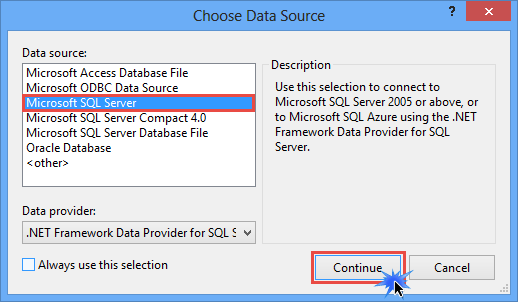 then select Microsoft SQL Server as Data Source -> Click on continue. 5. 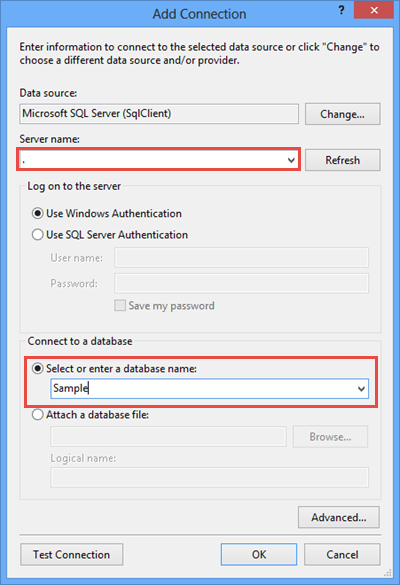 Type Server Name and Select your Database from the drop down list. 6. Give a name to your connection String and the click on next. 7. 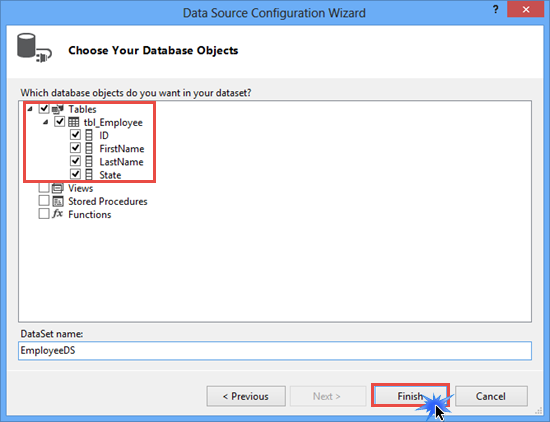 Select the database object you want in your dataset and Give a meaningful name to DataSet. Click on Finish. 8. 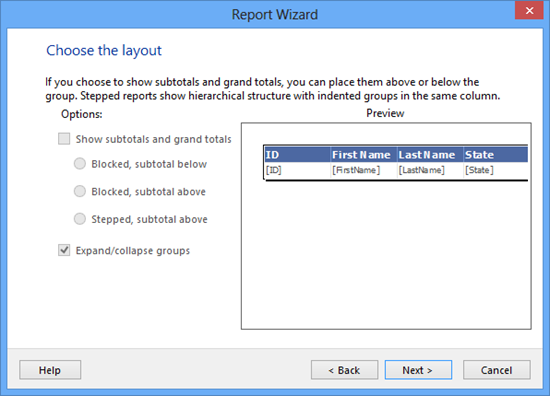 Now Report Wizard Opens. 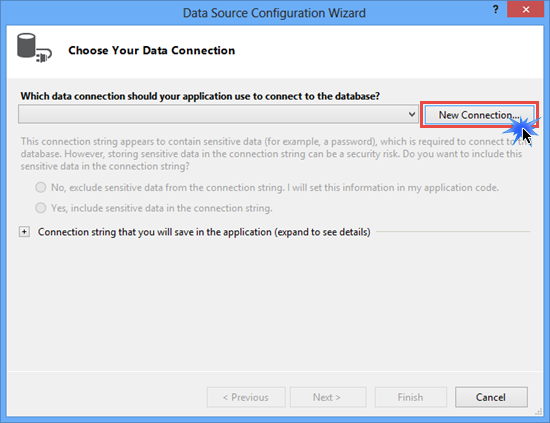 Select the DataSource as Dataset(i.e. EmployeeDS) which you have created earlier -> Click on Next. 9. Drag and drop the required fields from the Available fields into Values section. 10. 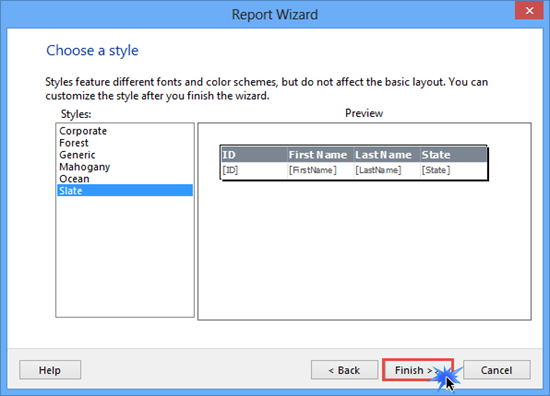 Choose a style for your Report -> Click on Finish. After that you will see Report named as Report1.rdlc is created. 11. 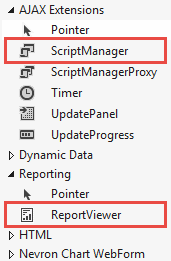 Now go to Default.aspx(where you have dropped ReportViewer control) and than Click on ReportViewver Tasks and Select Report1.rdlc. 12. Build and Run the Application. 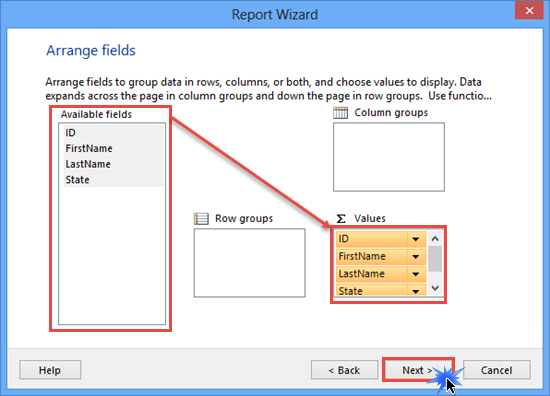 Click on Save Button in Report and save the Entire report in PDF/Excel/Word format.